Some might say that hospitality jobs are a short-term option, but if you ask Mark Leech, who has spent nineteen years developing his career at Ribby Hall Village, he will certainly disagree. Mark, 38, has just been named Director of Operations at the five-star Holiday Village in Wrea Green, nineteen years after joining the business as a student. From those humble beginnings as a part-time bar worker, Mark now finds himself in overall charge of significant swathes of this award-winning, family business. As Director of Operations, Mark will look after many of Ribby Hall Village’s diverse offerings which are available to a variety of shared audiences. He believes the experience he has gained over the years stands him in good stead for the challenges that await. A graduate of Leisure and Sports Management at UCLAN, Mark’s nineteen years at Ribby Hall Village have taught him that a business cannot stand still if it wants to survive and prosper. He was instrumental in bringing both Starbucks and Papa Johns to the business in 2009 and 2010 respectively, and in adding the SPAR store in 2016. Ribby Hall Village Chief Executive & Managing Director, Paul Harrison & Operations Director, Mark Leech. In his new role, Mark will be responsible for managing 346 staff members, a significant number of Ribby’s almost 600 strong workforce. “I want to continue to develop career progression for the many brilliant people who already work here,” says Mark. “We have exciting plans for The Village in the coming years and I’m determined that everyone has the opportunity to contribute to achieving those goals. 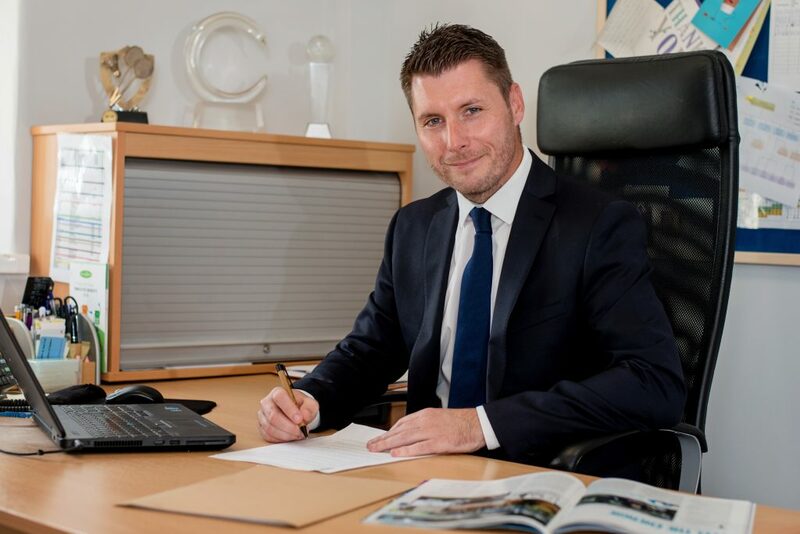 “Every time Mark has been given additional responsibility, not only has he risen to the challenge but he has excelled, improving Business performance through dedication; teamwork; attention to detail and a keen focus on delivering outstanding results. Mark’s well-earned promotion provides him with an ideal opportunity to further improve areas and introduce new ideas. 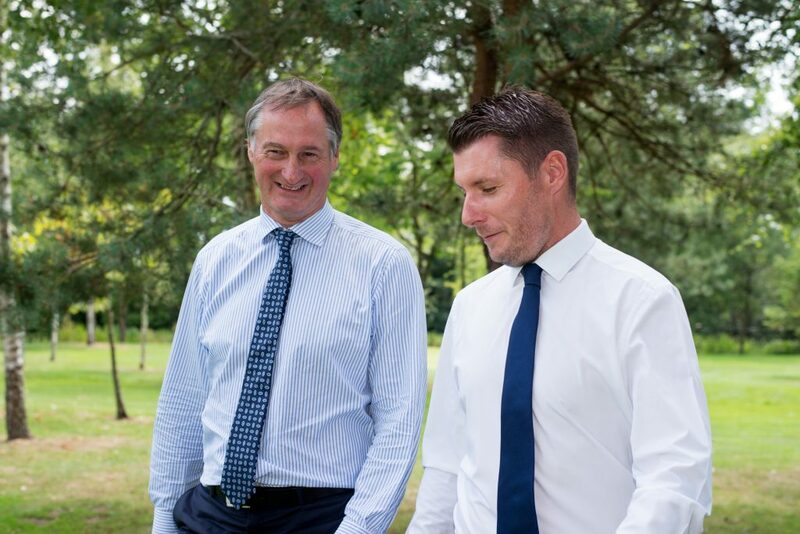 Our five year forward business plan includes a number of new and exciting initiatives yet to be implemented and in order to deliver on these; I’m looking forward to working closely with Mark and the management team. A keen golfer, Mark lives in Kirkham with partner Claire, son Joseph and step-daughters, Alex and Anna. He is a member at St Anne’s Old Links Golf Club and enjoys (for his sins) watching Manchester United FC. If you weren’t Director of Operations at Ribby Hall Village, what would you like to be? Definitely a professional golfer, although I would need a talent transplant to make that happen! Getting to know, and to work with, team members I haven’t worked so closely with before. We have a fantastic team here at Ribby and I’m very excited about working collaboratively with others to achieve our goals. What are your short-term priorities? Obviously, we will need to appoint a new manager for the Health Club as soon as possible. I want to spend time getting to know the new managers and teams I’ll be working with and hearing their ideas about how we move forward. What do you see as your biggest challenges in the year ahead? It might sound obvious but we’re in a competitive business and we have to work very hard to create the right balance between income generation and operational costs. We have exciting plans for the business but can only make the additional investment if we continue to grow. Staff recruitment, retention and development are crucial, too. There is a perception that careers in hospitality are not long term and we need to smash that myth by putting into place real, tangible career development paths for our employees. If I can do it anyone can! Do you have any particularly fond memories of your career at Ribby? Too many to mention. Staff sports events, golf days and nights out have all created many very memorable (and some unprintable) moments. Obviously, I’ve enjoyed the new challenges, the targets I’ve achieved and promotions I’ve gained whilst here, but my fondest memories are of the people I’ve worked with over the years and the very strong friendships I’ve made. There are so many for various reasons, but I am going to say my dad, first and foremost, for everything he has achieved in his life. I always knew he worked hard but I understand it more now. Are you involved in any charity work and community activities? My son Joseph goes to Pear Tree, a truly amazing school we are so lucky to have on our doorstep, and Derian House provides limited respite care for him, too. Both very much rely on the kindness of people for financial support and both are very close to my heart. Work hard, believe in yourself, keep a look out for opportunities and, when you see them, take them. And, don’t forget to be nice to people along the way. Any of the major golf tournaments are a must, but my favourite drama is Peaky Blinders. Which role models would you invite to your dream dinner party? Ricky Fowler – awesome golfer who I’d like to persuade to have a round with me. Elon Musk – not sure if he’s a genius or a madman, but it would be very interesting trying to find out! I’ve won on the National Lottery six times this year but, before you all come running, they weren’t big wins! This month, and after more than 30 years of playing golf I finally got a hole in one – at Royal Lytham too.